These potatoes are a building block for many other things around here. I make them to go in breakfast burritos, tacos, as a side for whatever meals seem to be screaming out for potatoes (like a nice tofu scramble) and as a base for things like vegan chili. If you get them extra crunchy, they make tacos and burritos super special. 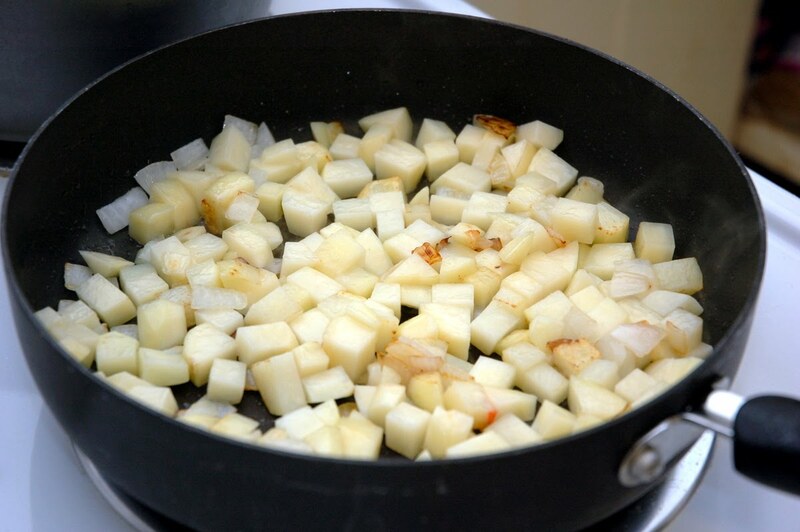 however many potatoes, peeled if desired and diced. I use 1 small russet per person. Heat the oil in a skillet (that has a tight fitting lid) on medium high and add the onions. Cook for 1-2 minutes until onions are just soft. Add the potatoes and spread them out, making sure that they are in a flat layer in the skillet so each one gets a nice crunchy side. 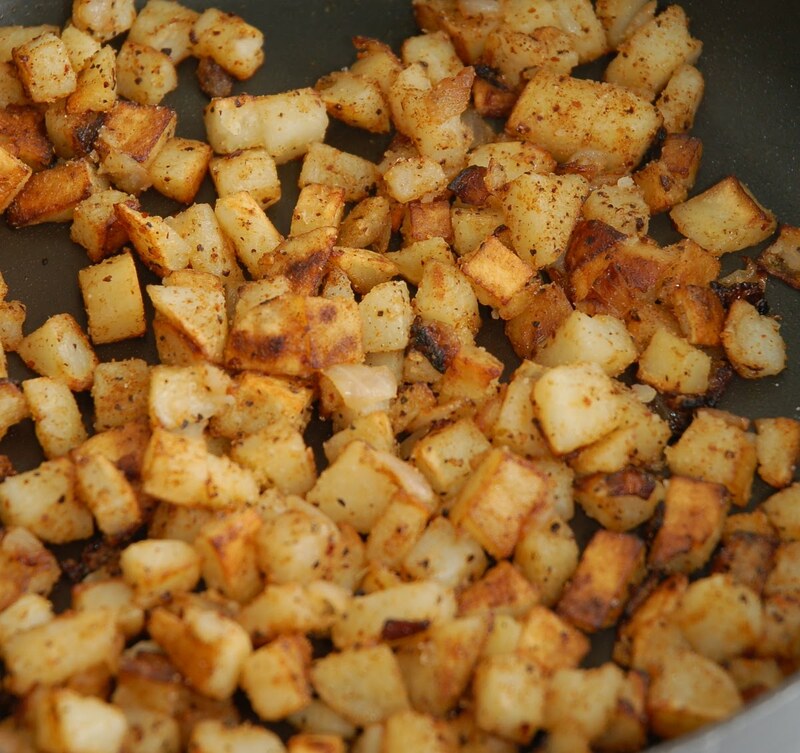 Add seasonings mix and garlic powder just to the top of potatoes. Do not stir. Reduce heat to medium low and cover. Did I mention the not stirring part? Keep covered for 15 minutes. After 15 minutes, remove lid and stir. Add more seasoning mix if desired. Cook for 5 minutes longer, raising heat to medium if necessary to add more crunch. Season to taste with salt and pepper. Note: I use different seasoning mixes based on what I'm going to use the potatoes for. 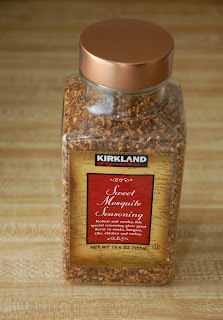 Costco has this crazy delicious mesquite rub, for example, that really lends a nice smoky flavor to the potatoes. Almost like BBQ. I use that when I'm pairing it with a BBQ seitan sandwich, for example. On taco nights or for breakfast burritos, I use taco seasoning. This one is vegan, but be careful, some of them aren't. They might have meat flavoring, butter flavoring or whey in them. 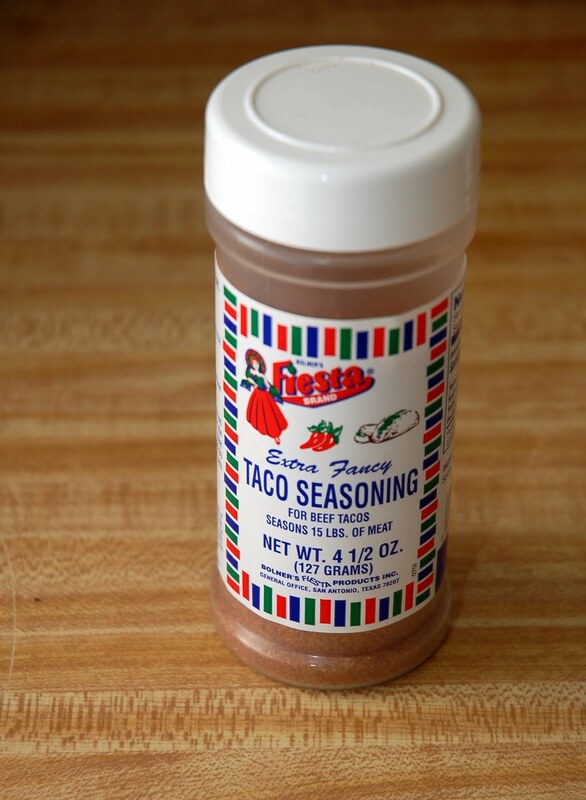 Sometimes I combine both the mesquite and the taco seasoning. 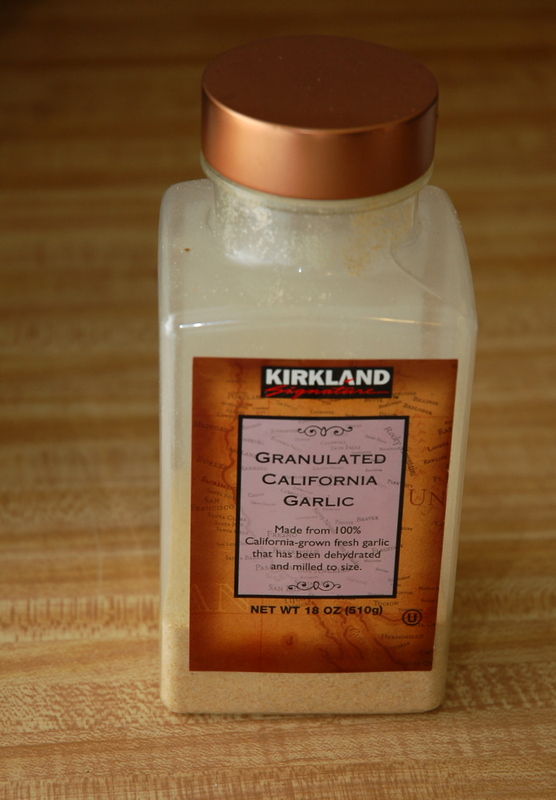 Other times I use just garlic and onion powder and maybe parsley, Italian herbs or herbes de provence. Then I add a little dill and Earth Balance at the end, then swirl the potatoes with some Tofutti sour cream or a spoon of Vegenaise for some "Ranch" potatoes. They're pretty versatile and I find that I'd rather have these potatoes than fake meats. They stand in very well for me in that way. If I have to choose between say, seitan or tofu tacos and bean and potato tacos, I'd pick the bean and potato every time.